As you will all be aware, recent months have seen some terrible accounts of historic abuse within our sport. We are no different to any walk of life and MUST do all we can to create and maintain a safe environment for our players, of all ages. In recent years, our sport has taken huge strides to introduce policies, procedures and schemes to help protect those involved in our game. Whilst these steps are very welcome, they can always be enhanced and should certainly not be treated as a tick in a box or the responsibility of the few. 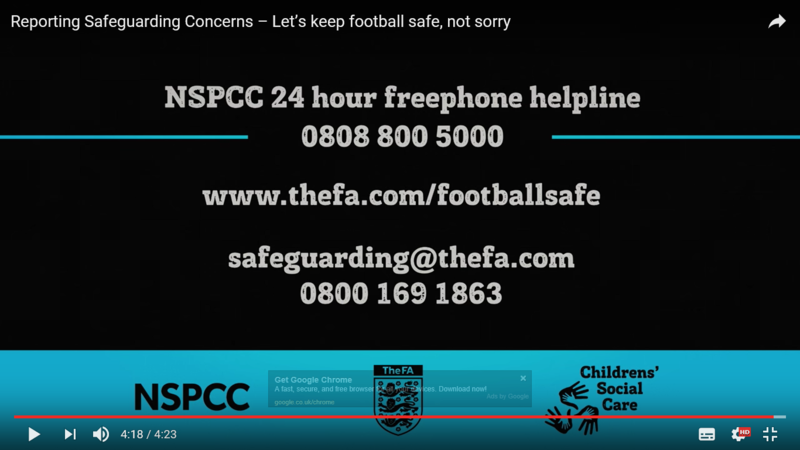 We are ALL responsible for making our teams, club and sport an enjoyable and safe place to be. Whilst we are confident that Crystal Palace Ladies FC is fulfilling its obligations, we will not be complacent or believe that we should stop developing. Please never be afraid to challenge or question anything that you have concerns over and ensure that it is reported.